It nice to work with Evernote and Penultimate. But a little bug is irritating. 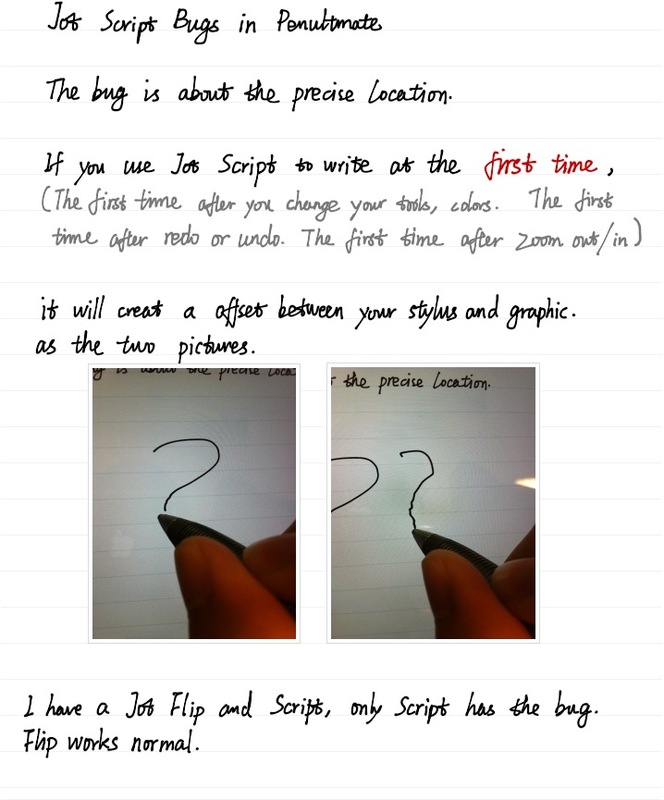 We know that Penultimate has supported the Jot Script, a blue tooth stylus from Adonit. However the accuracy of location in Penultimate is good but has a little problem. I attach a file to describe the bug I meet every time. Briefly, there is an unaccessible offset in your 'first' writing. The first writing after you change the tool, after you change the color of stylus and so on. This bug only exists when using blue tooth and Penultimate shows that the "Jot Script connected". So every time I have to do the writing at the first time, I need to write on the other side to make the location precise.